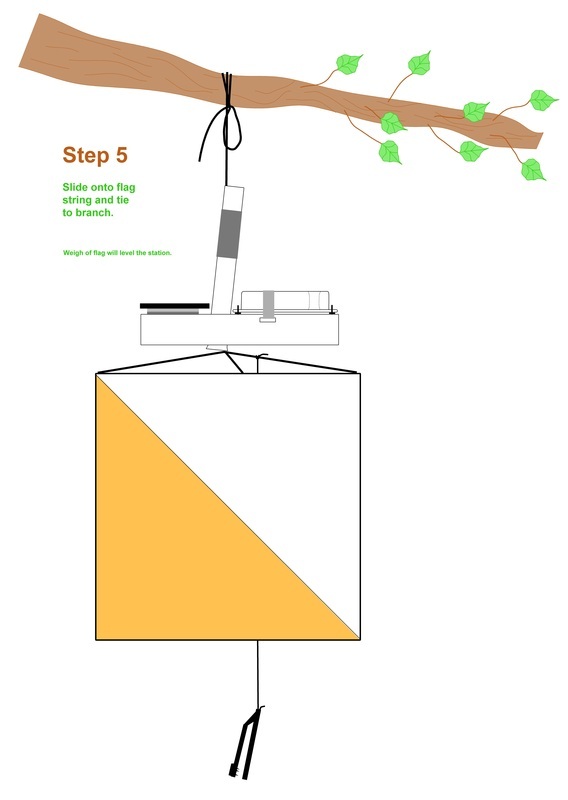 The round tube will be found inside the square tube. This allows for better packing in the shipping boxes. The reflective tape can't be attached until the round tube is installed because of close tolerances on the holes and tube. 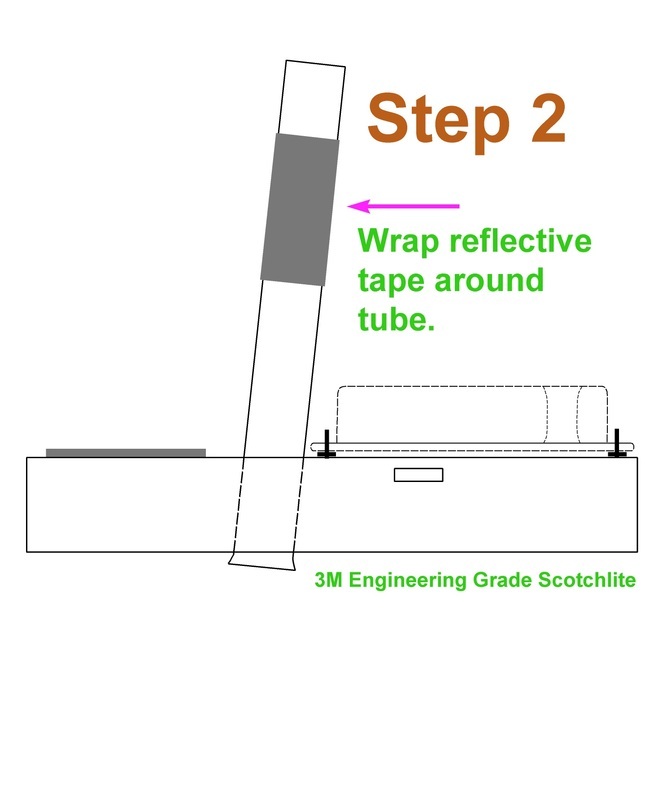 Once assembled, the round tube can't be removed without damaging the reflective tape. 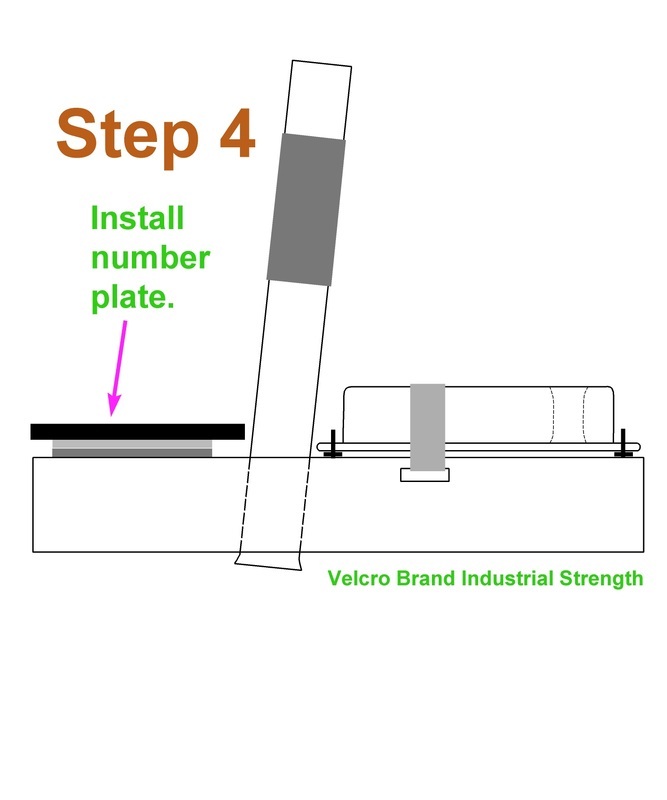 The position of the Velcro® hold down strap allows the number on the BSF8 box to be seen. The box number should be the same as the plate number. The tube is purposely installed at an angle to compensate for the mass of the BSF8 box. The weight of the control flag levels the platform so that the box and number plate face upward. 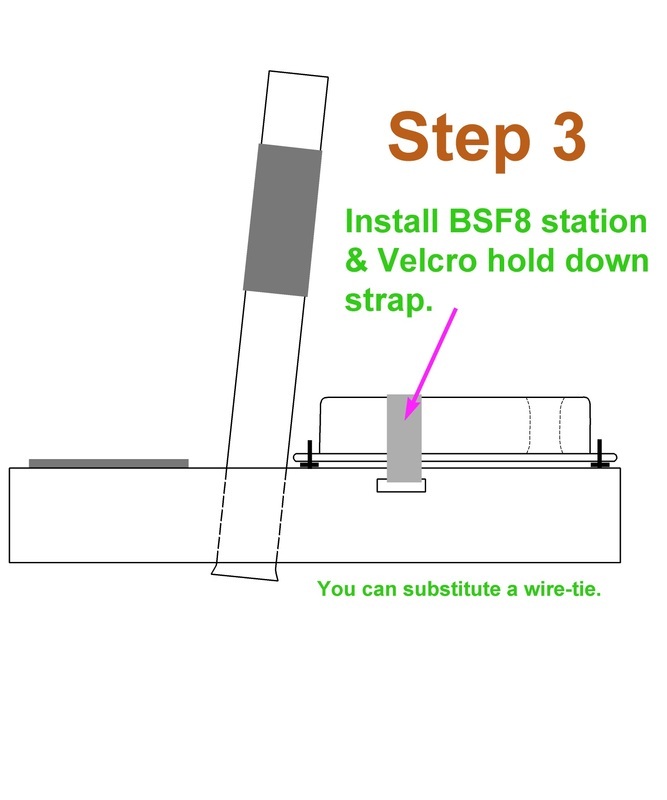 The stainless steel bolts serve as pins to keep the BSF8 box in position so that the Velcro® strap can hold them. The hold down strap should do fine. A Velcro strap or wire tie will hold the box securely on the pins. Our club has decided that they prefer the higher security of the wire tie. The reflective tape is designed to work best with headlamps. Tiny mirrored lenses reflect light back in the direction it originated from. The angle between headlamp, reflector and eyes is very small, so the reflection is great. A flashlight held at waist level will have a greater angle, thus less light will be reflected to the eyes. 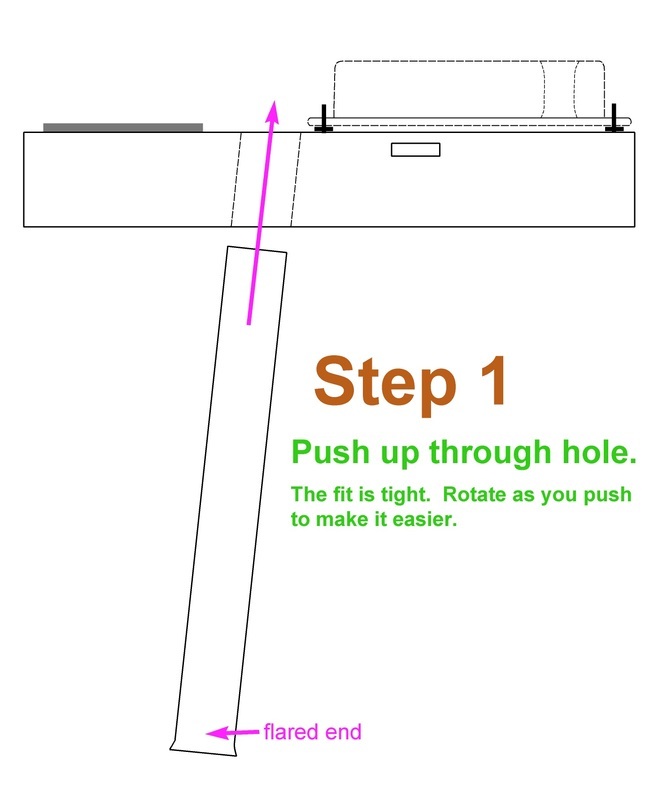 At a great distance this becomes less of a problem because the angle becomes smaller. This is the same reflective film used on traffic signs.